A lot of people always ask me “am I Dotty”? 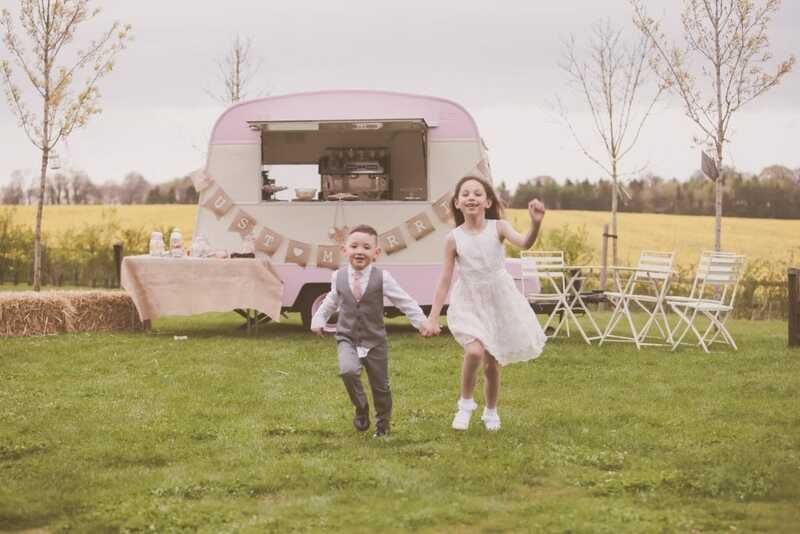 I normally say yes as I suppose I am in a way….even though my name is Rebecca, ‘Dotty’ is my brand, my business, my passion and ultimately my little vintage caravan which is where my story begins. Having left the corporate world to have my twin daughters Isabella and Ava in May 2012 I set about restoring and converting my old 1960’s 4 berth caravan. 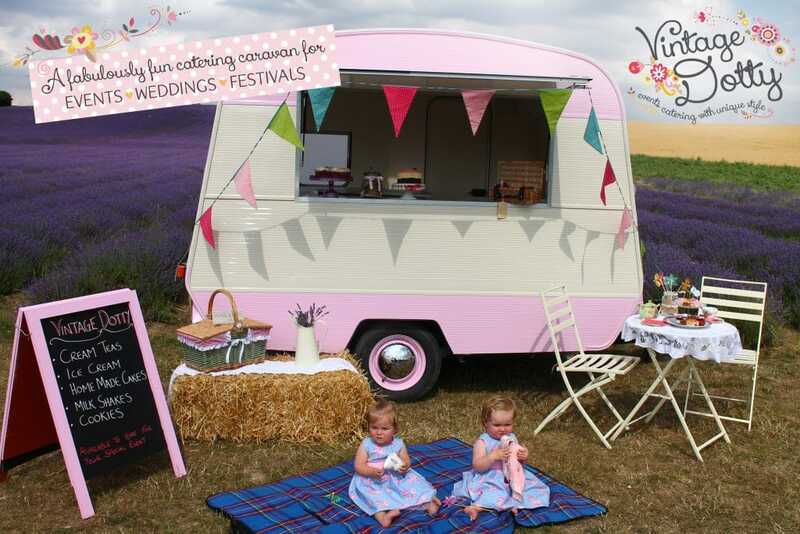 As if I didn’t have enough on my plate with the girls I decided I wanted to be in control of my own destiny and pursue my love of baking, tea, all things vintage, so I set up my mobile catering company. I decided I would enlist the help of my Dad and good friends Richard and Lyn of the English Caravan Company to help me create my very own catering caravan and a year on we were nearly there….Dotty the caravan was taking shape and we already had a full calendar of events ahead of us! I remember catering for our very first wedding which was at lovely venue in Barnes, West London. I was so nervous but I knew we had to do a good job…true to form there was a power cut at the venue which meant our tea urns were no longer bubbling away….to the rescue came my trusted other half David who found the source of the problem and the power (and my nerves) were restored. The wedding was an amazing success and we then onto to cater at lots of festivals, events, garden parties and corporate do’s over the coming years….until we stumbled upon our lovely little shop in Carshalton Village. The shop was looking very sorry for itself and unloved….could this be the perfect location for us to create our very own Vintage Teahouse we thought? 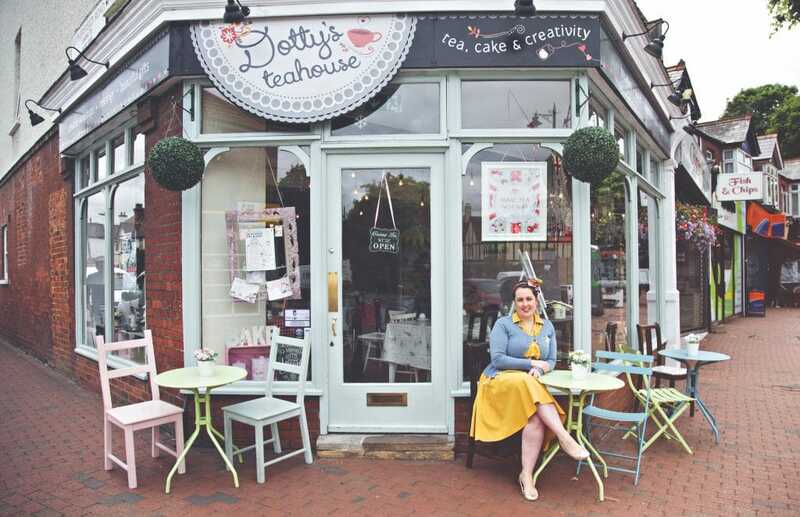 The rest as they say is history…..Dottys Teahouse opened at 108 High Street in Carshalton in May 2016 almost 4 years to the day since I decided I go it alone and I haven’t looked back since.